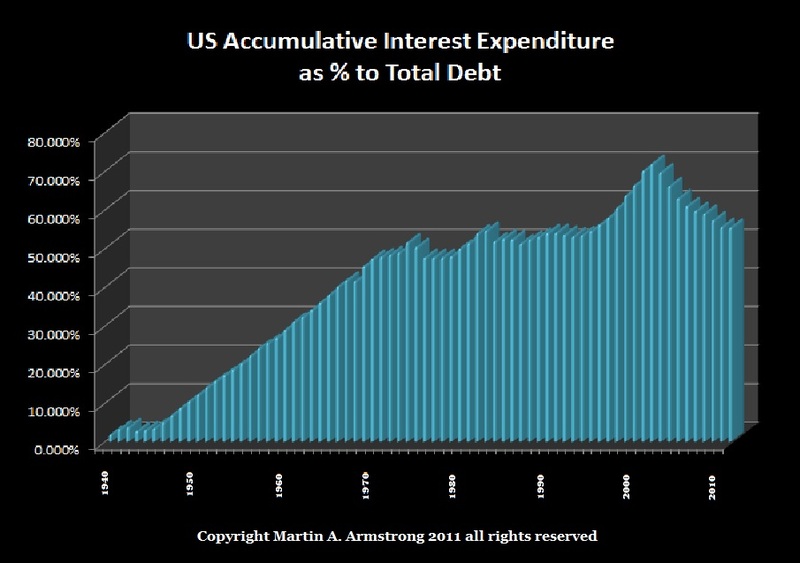 Negative Interest Rates Coming to USA – But Wait! Banks or You? Continued blessings for publishing your remarkable insights. Will the banks pass on their negative interests rates to the depositors? What will be the effect of depositors removing their cash from the banks? ANSWER: In the US, the talk behind the curtain is to impose negative interest rates on the consumer. Banks have huge deposits at the Fed collecting 0.25%. They are quite happy to collect that and we are talking about more than $1 trillion in “excess reserves“. The Fed is under pressure not to close that facility. Like airlines who turned against their customers with huge fees to cancel tickets adopting the predator tactics of the money center banks that always traded against clients, the US version of negative rates will be your bill. We are more likely to see “fees” rise on accounts with zero rates of interest or 0.01% without calling it negative. The banks will scream and claim they will be unable to sell government debt if rates to them go negative. This is a negotiating problem and everyone is pointing the finger at you. The ECB cut their rates to banks – a bit more direct. However, keep in mind that because the EU failed to create a consolidated debt, the banks cannot threaten the EU that they will be unable to sell their bonds and thus the EU will collapse. So the structure is different. The US relies upon banks as primary dealers to sell their debt and hence need the banks under that system. The banks have used this to their advantage in a crisis claiming unless they are bailed out the Feds will collapse. This is why I have continually stated that we no longer need to borrow. This is a barbaric relic from left-over monetary systems that is escalating the entire problem. 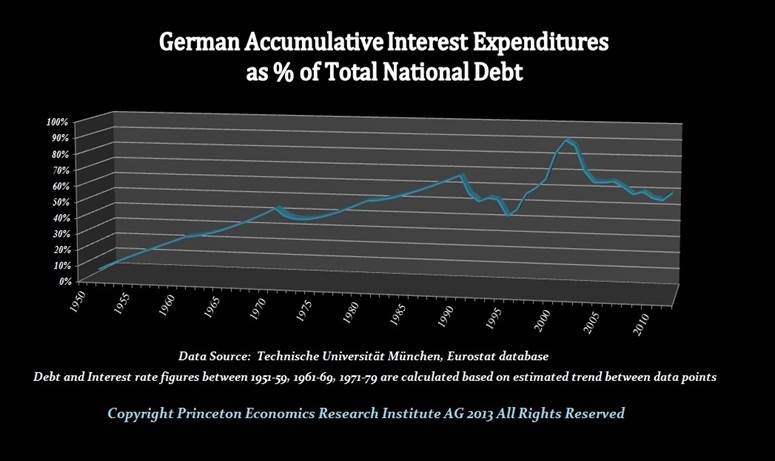 About 70% of the national debts are composed of accumulated interest expenditures that benefited nobody. This is driving taxes higher to try to support the revolving debt that only rises and never declines. Like Detroit, when the expense to keep the past exceeds the present, the system collapses. Just do the math. What happens when we hit 100%? Do we go super-deflationary like a super-nova as we extract more and more from the economy transforming us all into simple slaves? Those who keep talking about hyperinflation are blind to this mechanism that destroyed Detroit and all Empires before us. They just assume you print to meet obligations and cite Germany or Zimbabwe yet fail to consider they already defaulted on the debts and cannot borrow. There is the problem of just defaulting and deflationary collapse without trying to pretend you meet any obligations. Spain became a serial defaulter and collapsed into a third world status from being the richest nation in Europe because of all the gold and silver they brought back. In the USA, we are more-likely-than-not going to get the negative rates directly passed to consumers by the banks who will claim it is the Fed who will do so at the requests of the banks. Larry Summers has set the stage. This is just how it works. He flew the balloon to get everyone ready. This is likely to be bullish for the stock market.